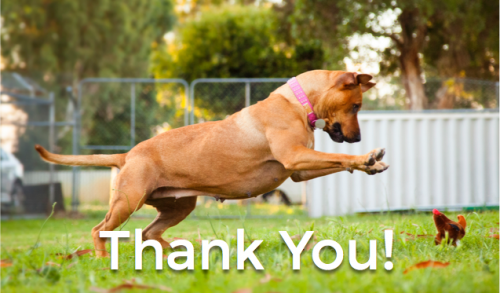 Thanks to all our awesome pet-loving supporters, we totally smashed our Safe & Sound Pounds crowdfunding target. We even have a little extra to start funding the new PetLost website and help lost pets find their way home - which is just amazing! We'll be posting progress updates throughout 2015 via the free PetRescue Post. If you selected a perk when you donated, we'll be in touch in January 2015 with delivery deets and dates. Thanks again for your generosity and patience. Many of the cats and dogs who posed for our crowdfunding campaign video and photos have since been adopted. Rex, Bentley, Lawson, Bindi, Zac and our superstar Charli are all looking forward to their first Christmas in their forever home. Christmas is a really great time to adopt a pet for life, and here's why… When you and your family are home over the holidays, you have all the time you need to bond with your new pet and help them settle in to home life. Plus, you get to tell everyone how you saved a life and gave an awesome pet a great home in time for Christmas. Search the PetRescue website for your new best friend today. Wishing you, your family, and your fur family a safe and sound Christmas! Every dollar we raise over $50,000 will be invested in the creation of a new website to reunite lost pets and owners! Watch our video, or read more below. We're soooo close to reaching our target of $50,000 - which is amazing! This will help us drive significant life-saving changes across Australia's pounds - starting with the publication of a comprehensive pound reform guide. Every dollar we raise over $50,000, between now and the campaign end date of 19 December, will be invested in the development of PetLost.com.au - a new centralised website both the public and pounds can use for listing and searching for lost pets. This easy-to-use tool will offer greater exposure for lost pets. By creating a digital footprint for all pets, from the moment they are found and enter the pound system, we will give them the best chance of being reunited with their owners. Every dollar will help secure the safety of pets in Australia, so please donate to today. We need your help this Christmas to fix Australia's pounds and make them a safe and sound place for all lost and homeless pets. By Christmas, PetRescue will have helped find forever homes for more than 250,000 rescue pets, from over 750 rescue groups and shelters nationwide. Now just imagine how many more lives would be saved by next Christmas if PetRescue got the nation's 550+ pounds on board too! Currently only 1% of all council pounds are utilising PetRescue's free services to advertise their pets for adoption. This a sad state of affairs, considering 80% of pound cats and 40% of pound dogs are killed every year because homes aren't found for them. With your help, we can change that! In 2015, we're focusing our efforts on bringing all healthy and treatable pets online. We want to give all pounds the resources to effectively help animals throughout the impoundment journey and, in turn, give every pet the best chance of leaving through the front door into loving arms. 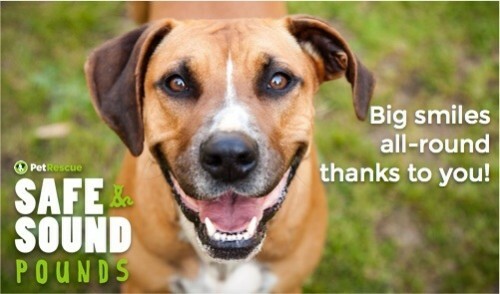 Your donation to PetRescue today can save thousands of pets from being killed in Australia's pounds. Help us raise $50,000 to start fixing Australia's pounds. 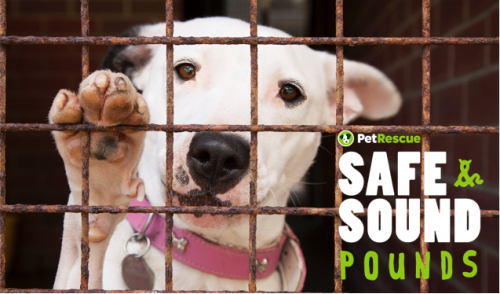 All funds raised will be invested in PetRescue's Safe & Sound Pounds Program 2015 - giving pound staff the tools they need to implement effective life-saving adoption programs and offering maximum exposure to lost and homeless pets. 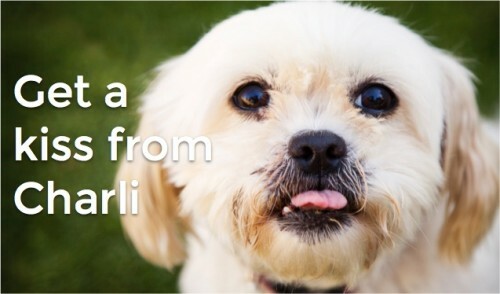 Get a digital kiss from Charli the rescue dog and your name added to our Safe & Sound Pounds Supporters Wall. Get a set of adorable rescue pet images to load to your desktop, a kiss from Charli and your name added to our Safe & Sound Pounds Supporters Wall. We'll send a letter to your local council, with your name on it, urging them to download the Pound Performance Guide and take action for homeless pets in your community. And we'll add your name to our Safe & Sound Pounds Supporters Wall. Please donate and share NOW to save lives! We really look forward to you being a part of this exciting evolution of PetRescue. On behalf of the many pets whose lives you will save, we sincerely thank you and wish you a very happy Christmas! PetRescue is a registered national not-for-profit organisation. If you select a perk when you give your support, we'll be in touch with you after Christmas with a follow-up. In the meantime, if you have any questions about your donation, please email us. All donations are tax deductible and receipts will be issued to you via email. If you select a perk that has material value, you will need to deduct the value of the item when filing your tax return. 100,000 pound pets need your support! 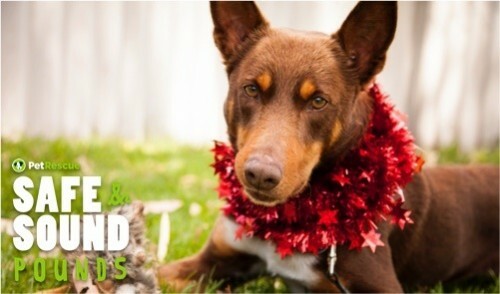 Donate today to help PetRescue make Australia’s pounds safe and sound for all lost and homeless pets. Charli will give you a big kiss for donating and we'll add your name to our Safe & Sound Pounds Supporters Wall. A digi pack of adorable downloadable furry faces for your desktop computer, tablet or mobile by K9Kate Photography. 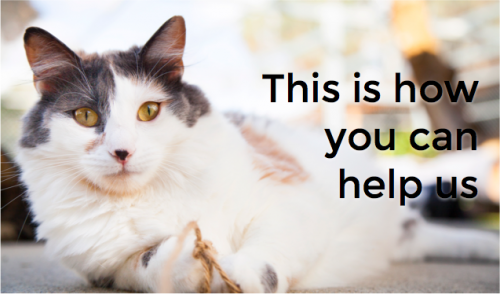 <nbsp> This perk gets you: <nbsp> + PetRescue images for your desktop. <nbsp> + Your name added to our Safe & Sound Pounds Supporters Wall. We'll make you an honorary Friend of PetRescue for one year! This gets you: + 1 Year Friends of PetRescue Membership. + Your name added to our Safe & Sound Pounds Supporters Wall. Get a copy of PetRescue’s ‘Unconditional Love’ book personally inscribed by the PetRescue Directors. This perk gets you: + A signed copy of Unconditional Love + Your name added to our Safe & Sound Pounds Supporters Wall. The only way you can get your paws on an official PetRescue t-shirt. Grab this perk while it lasts! This perk gets you: + 1 PetRescue t-shirt + Your name added to the Safe & Sound Pounds supporters wall. We'll send a letter to your local council, with your name on it, urging them to download the Pound Performance Guide and take action for homeless pets in your community. This perk gets you: + A letter to your council. + Your name added to our Safe & Sound Pounds Supporters Wall. We'll send a hard copy of PetRescue’s Pound Performance Guide to your local council, with your name added to the covering letter. This perk gets you: + A copy of the guide for your council. + Your name added to our Safe & Sound Pounds Supporters Wall. Our very own Vix is a professional dog trainer and will give you a one-on-one behavioural session in your home. Please note, this is only available to donors in Melbourne. This perk also gets your name on the supporters wall. We'll make you an official supporter of the Safe & Sound Pounds project by adding your company logo to our Crowdfunding Thermometer and Supporters Wall. You get to choose where PetRescue Director JB gets a new tattoo of the cute kitty ampersand from our Safe & Sound Pound logo (no neck, face or naughty bits)! This perk also gets your name/logo on the Supporters Wall. We'll make you and your company look totally awesome by publishing your logo in the Pound Reform Guide and adding to the Safe & Sound Pounds Crowdfunding Thermometer and Supporters Wall.